I modified my drag link so that it would not hit my oil pan. Some people were confused on how to do this, so I figured I would take a few pictures while I did it. First, I cut a piece of 1&quot; DOM 3/16&quot; wall to about 18&quot; long with angle cuts on the end to make it look decent. 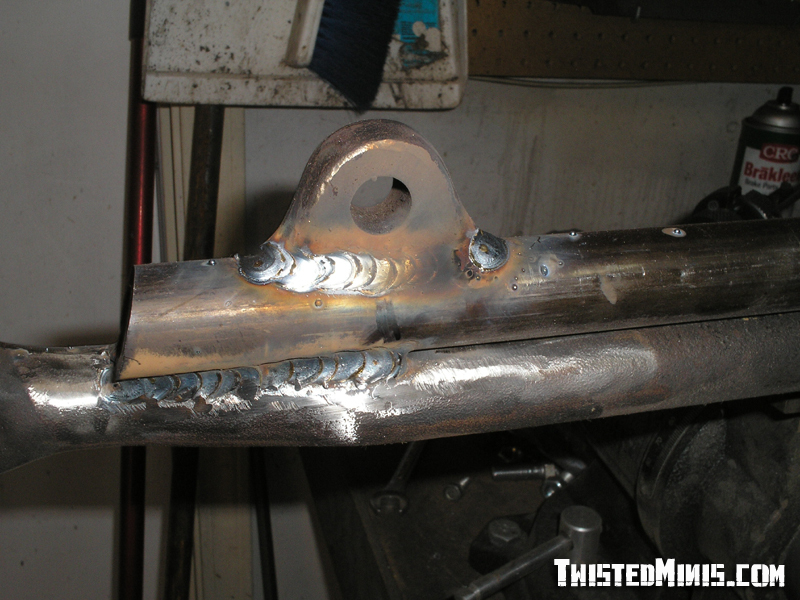 I tacked this on the lower half of the drag link. Also don't forget to measure where you stabilizer mount was so you can relocate it. 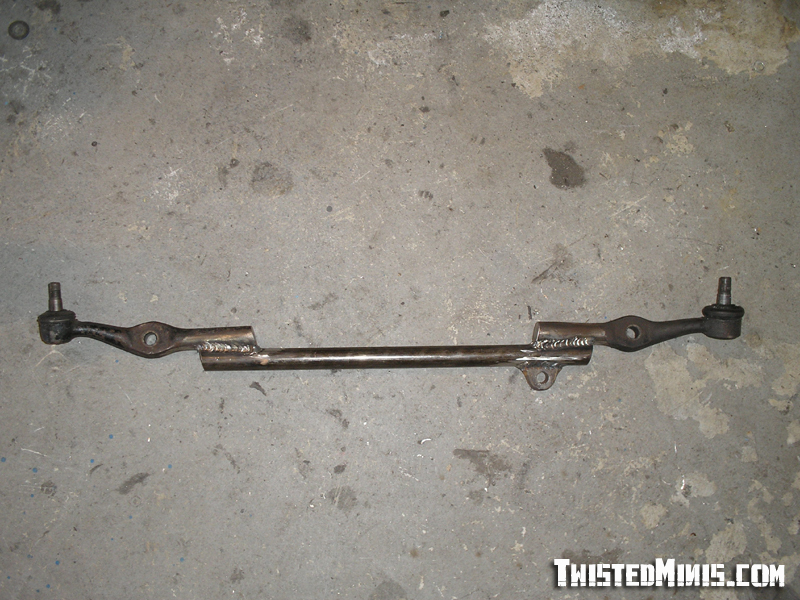 I measured 4 3/8&quot; from the center of the mount to the center of the closes tie rod mount. 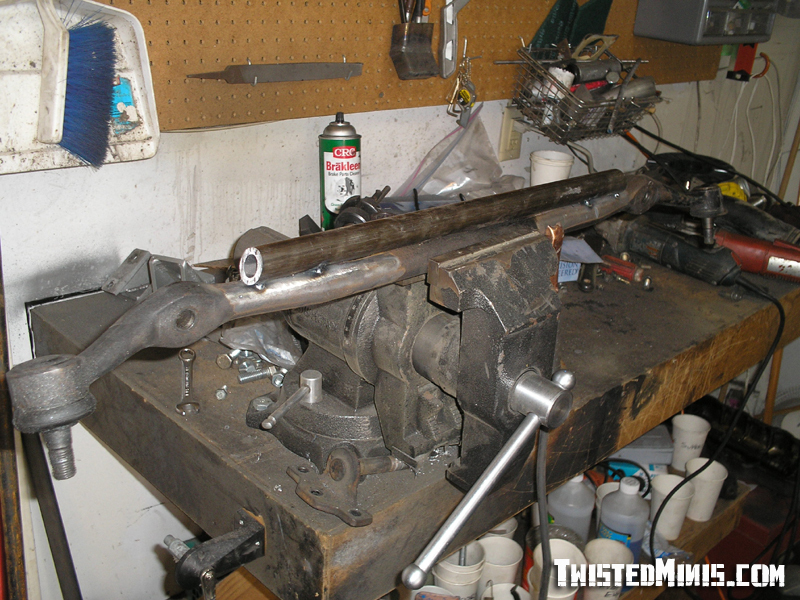 So I welded everything back up, and relocated the stabilizer mount. I then cut the center out. I used my bandsaw to cut it at an angle to keep it looking alright, and its also effortless. It ended up looking better than I thought it would, and took under an hour to do. I have enough room to turn lock to lock and the cuts come about 1/4&quot; away from the side of the pan. And doing it this way ensures that it will stay straight and you're steering geometry will not get screwed up. Mine was too. I actually couldnt tighten the castle nuts. My motor is dropped farther than yours. About 1 3/8&quot;. i havnt run into this problem yet...but... is your drag link affected only when you drop your engine? or is there another reason? Just when you drop the motor, or section the crossmember. Anything that brings the two closer together. i know this thread is old but thanks for the info, this is a fool proof method and it was very useful.